Police arrested a suspect early Sunday in connection with a shooting in Old Town where no one was apparently injured. 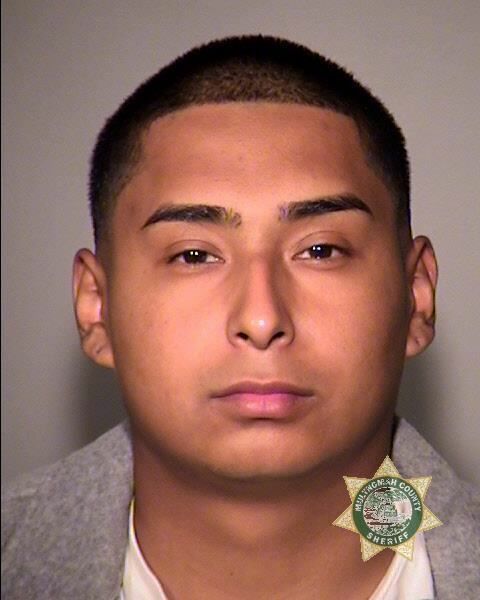 Alexis A. Alvarez, 22, was lodged at the Multnomah County Jail on charges of Possession of a Loaded Firearm, Discharge of a Firearm in the City of Portland, and Unlawful Possession of a Firearm. Police are also investigating a shooting that happened Friday evening at the Speakeasy Lounge, located at 545 Southeast 162nd Avenue. No one was hurt or immediately arrested, although officers found evidence of gunfire in the area. In Sunday's incident, police say that at 12:32 a.m. on Oct. 7, Central Precinct and Gang Enforcement Team officers responded to the report of a disturbance with gunfire near the intersection of Northwest 3rd Avenue and Northwest Glisan Street. When officers arrived in the area, they contacted multiple people believed to be involved in the fight and gunfire. No one was located at the scene or arrived at area hospitals with injuries believed to be related to this investigation. While searching the area, officers located a firearm and evidence of gunfire. Based on preliminary information, officers believe a group of people were involved in a disturbance near the intersection of Northwest 3rd Avenue and Northwest Glisan Street, and that during the disturbance, Alvarez fired one round from a handgun. The Gun Violence Response Team responded to assume the investigation. Anyone who witnessed this shooting or who possesses video surveillance footage of the shooting is asked to contact Portland Police Bureau Tactical Operations Division Gun Violence Response Team at 503-823-4106.